In just over a week, Ryan and I will be in Solvang, California for a few days of relaxation and wine tasting! 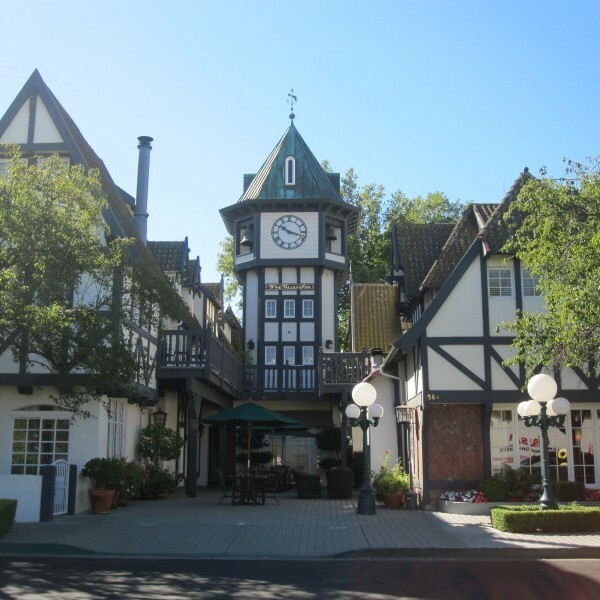 While it’s not really called Little Denmark, Solvang is a sister city to Aalborg, Denmark and it definitely has a European feel. 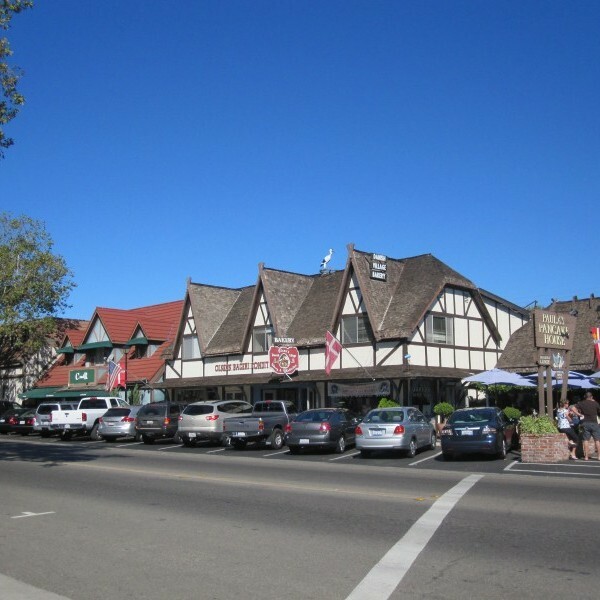 The city of Solvang is small (2.4 square miles, according to Wikipedia), with a much smaller, walkable downtown area made of a few streets in each direction. I am fascinated by the Danish-style buildings, the Danish fashion worn by some shop owners and sold in shops around town, and the small town feel. It’s a cute town that’s great for a weekend getaway (or longer!) since it’s only about 2 hours away from Bakersfield! 1. 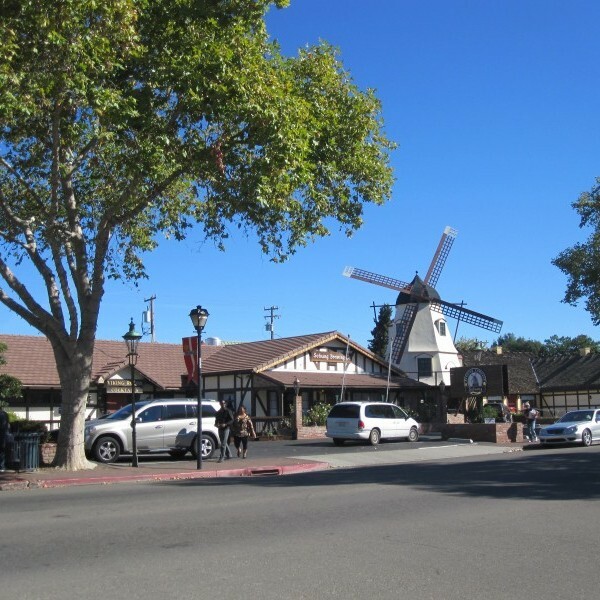 Walking around downtown Solvang. During the day this will involve stopping in the Danish shops, gift shops, bakeries, and two of my favorites: Jule Hus (for everything Christmas) and Vinhus (for wine, cheese, and other snacks). Once everything is closed at night, it means enjoying the quiet area and the white Christmas lights that are strung on the trees year round. 2. Wine tasting. 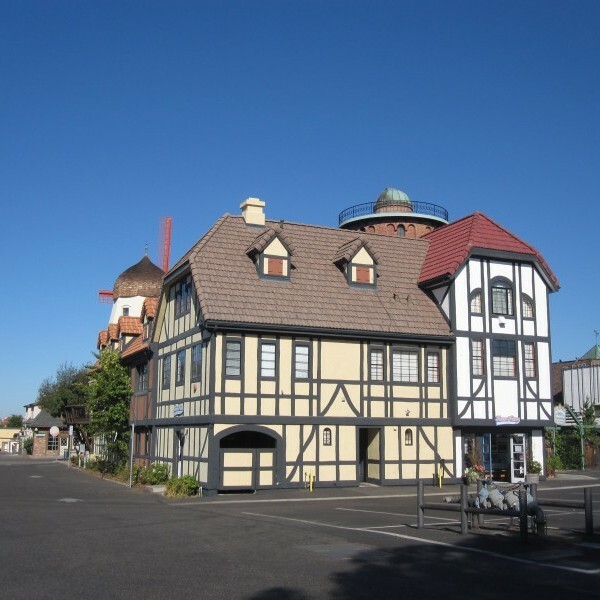 Downtown Solvang has several wine tasting rooms. This is very convenient since they are all very walkable (spread out in the dowtown area) from our hotel and other hotels in the area. On previous trips we’ve enjoyed tasting wines at Mandolina (Italian varietals) and its sister tasting room, Lucas and Lewellen. I’m looking forward to visiting the Wandering Dog, which has blind tastings on Thursday afternoons, and Sort This Out Cellars, which has live music on Friday and Saturday nights and is open until 10! 3. Relaxing at the pool and hot tub at the hotel. While many of our vacations are full of activities, this long weekend away allows for relaxation time. There are not many establishments that open really early or stay open late, so the beginning and the end of the day are perfect for relaxing at the hotel. We’re staying at the Hadsten House, which has a pool and hot tub. 4. Wine tasting (again). There are several wineries outside of Solvang, in the neighboring cities of the Santa Ynez Valley. Some of them are reminiscent of Tuscan villas, like Melville Vinyeards, and some are up in the hills and boast gorgeous views. For a different wine tasting experience, we love going to the “Lompoc Ghetto” – it’s a group of warehouses that have been turned into wine tasting rooms. And to finish off – a few pictures from our trip in October 2010. We will return with more pictures! 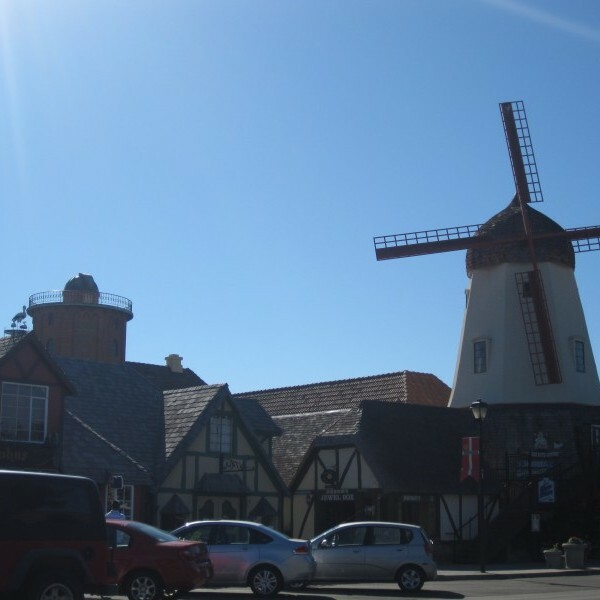 This entry was posted in Travel and tagged California, Solvang, travel planning by Kristin. Bookmark the permalink.